While I love my tablets, I really don’t like reading on them for any length of time. 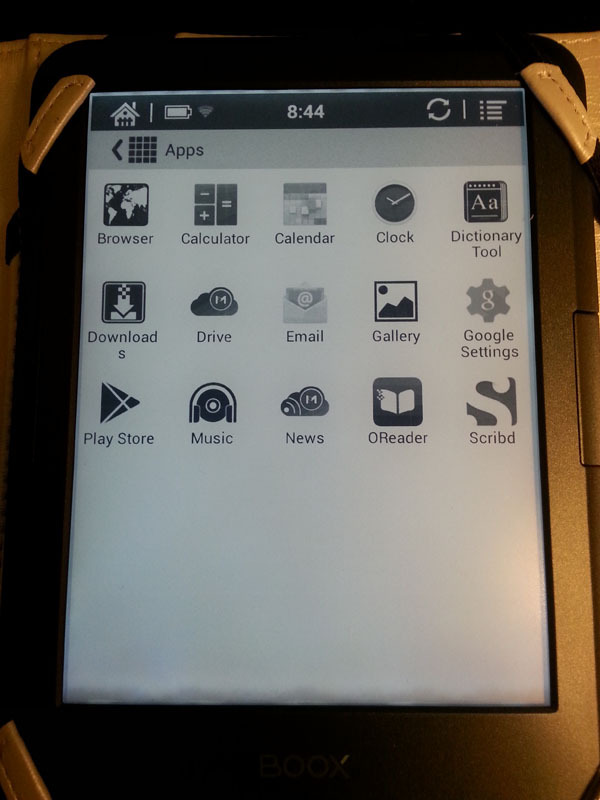 I had been looking for an e-ink e-reader that runs Android, has the Google Play Store and is capable of running the Scribd app. I had seen a few that looked interesting but weren’t quite what I wanted. 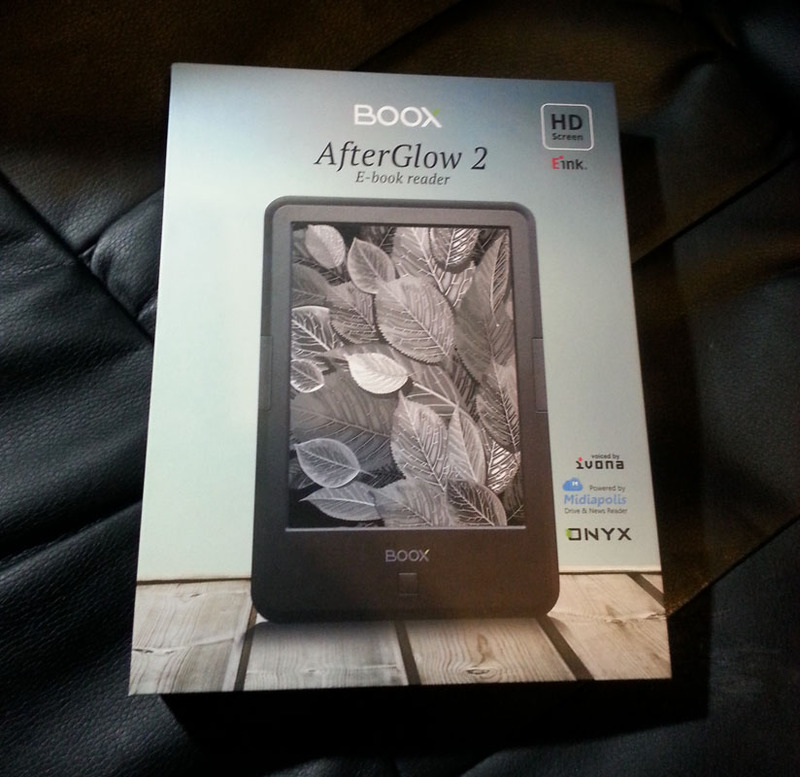 When I found the Onyx BOOX AfterGlow 2 at Amazon for $129, I decided to take the plunge and get one. 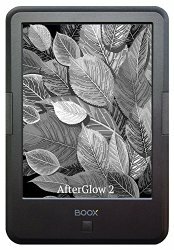 The Afterglow 2 has a frontlight, runs Android 4.2 and comes with the Google Play Store installed on the device. It can read multiple file types, including ePubs, Mobi, and PDF files. It has physical page turn buttons and is even capable of text-to-speech (currently the languages are English and Polish). The apps page showing Google play. Note the shadows at the bottom where the frontlight is. 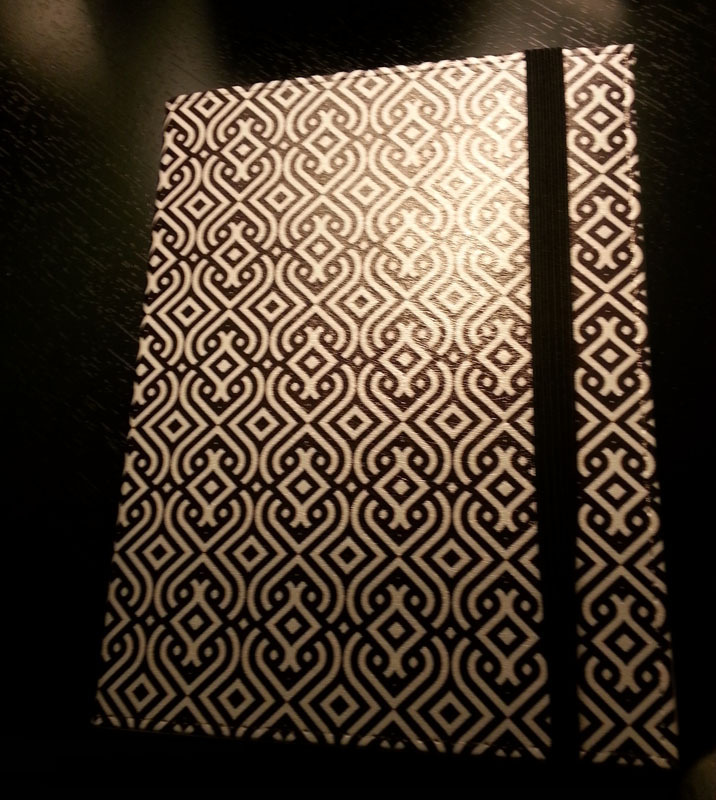 This entry was posted in eReaders and tagged Google Play Store, Onyx BOOX Afterglow 2. Bookmark the permalink.